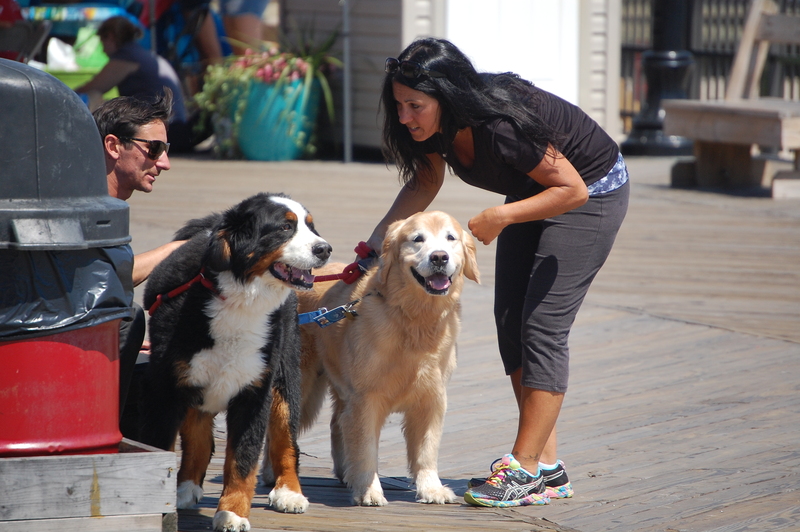 Seaside Heights officials have decided against going forward with an ordinance that will allow dogs on the boardwalk year-round, after residents, tourists and business owners all raised issues following yesterday’s Lavallette-Seaside Shorebeat article on the proposal. Other residents brought up issues as to whether dog owners would comply with the requirement to clean up after their pets, how dogs that could be aggressive would be kept off the boardwalk, and the fact that many visitors walk barefoot on the boardwalk during the summer months. “I asked the council to reconsider the vote, and they will,” said Vaz. Legally, since the ordinance has already been introduced, it must be included on the council’s agenda for a meeting next Wednesday, but the matter is not expected to be seconded, effectively turning it down. “I think it is the best thing, at least for now,” said Vaz.